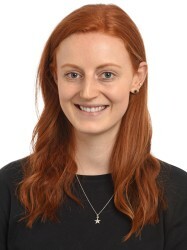 Lily is a Teaching Fellow for the NHS Digital Academy, and has held the position of Centre Assistant for the Centre for Health Policy and Patient Safety Translational Research Centre since March 2018. Originally from Surrey, she spent her secondary and tertiary education years in Auckland, New Zealand. Completing her BSc in Nutrition at the University of Auckland in 2016, she went on to complete a PGCert in Holistic Performance Nutrition. While working on the Digital Academy, Lily strives to develop her skill set in areas of data analytics and digital health.